At Le Bonheur you can get up close and personal with reptiles while enjoying a relaxing day (or weekend!) on our idyllic farm in the heart of the Winelands. We offer reptile adventures like you have not experienced before. 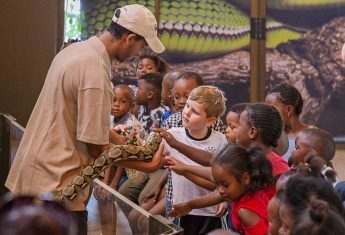 After enjoying our croc pond tour (you’ll get to hold a baby) and snake exhibit (locals and exotics), spend the rest of the day enjoying our spacious kids’ play area, tranquil catch-and-release dam, and scrummy woodfired pizzas. 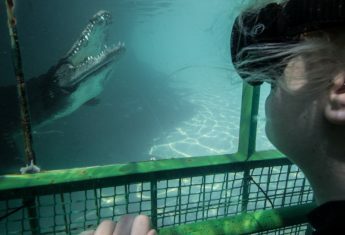 Depending on your adrenaline threshold, you can cage dive with a croc or rent our rowboat. 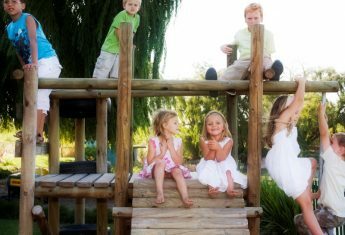 Le Bonheur is open 364 days per year (9 am – 5 pm, closed Christmas Day), we offer everything from serene waterside braai-places and not-so-serene kids’ parties, educational school tours, gorgeous self-catering accommodation and a unique shopping experience in our Le Bonheur shop specialising in crocodile leather products and locally-crafted items. Your family reptile adventures starts here. 11 daily tours. No bookings needed. From hatchlings to BIG crocs! Swim freely in a croc-proof cage. September – April, walk-ins welcome. Rods and rowboat to rent. Picnic on the lawn, licensed.